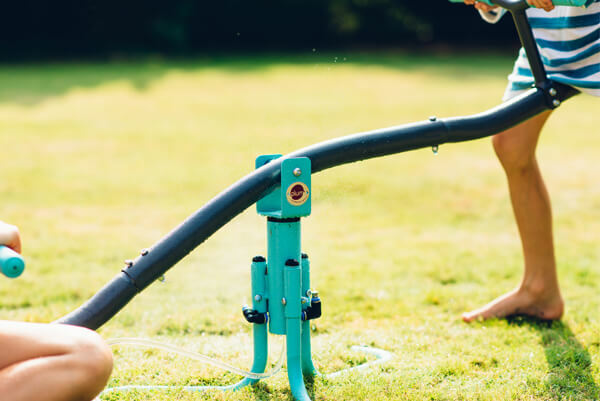 Hook up the Plum Metal Mist range to your hosepipe and add some water fun to the garden. 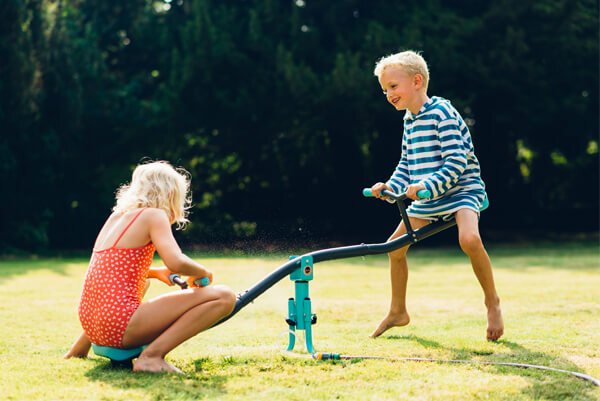 With this springtime twist children see saw into the mist spray and keep active, switch on the unique water feature and cool off during playtime. 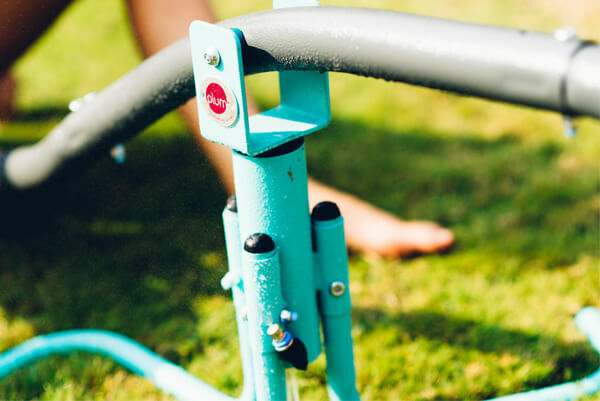 The Plum Premium Metal See Saw with Mist comes has ergonomic sky blue plastic seats. The stylish blue and grey metal frame is extra thick for strength with a textured finish. The steel is galvanised inside and out giving the swing set added durability and weather protection. 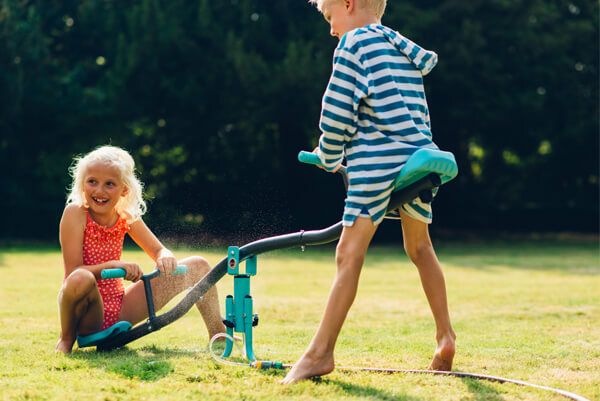 Jump and spin with the premium metal see saw with mist. The stylish blue and grey metal frame is extra thick for strength with a textured finish. The steel is galvanised inside and out giving the swing set added durability and weather protection. Turn on the mist feature and cool down in summer! Comes with an adapter that hooks up to the hosepipe and sprays a fine water mist. The Plum Premium Metal See Saw with Mist comes with ergonomic sky blue plastic seats. Minimum user age 3 years. Outdoor use only. Only for domestic use. Please allow a 2m safety perimeter. Not suitable for children under 36 months – small parts – fall hazard. Adult supervision required at all times. Adult assembly required.